No two are alike. 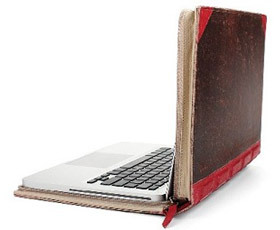 BookBook is a one-of-a-kind, hardback leather case designed exclusively for 15-inch MacBook Pro. Available in Classic Black or Vibrant Red. Like this? Show your friends!